My aunt embroidered by hand a similar series of vintage baby line drawings on a set of bibs for Ella. Love it. This is so sweet. I love those drawings on the cards. The food is so clever too. I forgot to tell you. 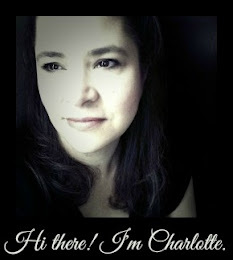 I have tagged you for the Meme going around: Queen of all things Awe-Sommm on my blog. 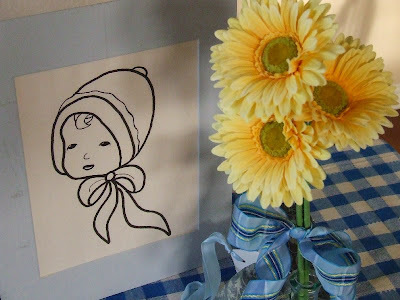 I made that centerpiece about 6 years ago for another SIL's baby shower and I remember using pictures that I found online and drawing them on heavy drawing paper. I wonder if it was the embroidery set that your aunt used? I don't remember where I found them though. Maybe you could email me the name of the pattern. Hi there. 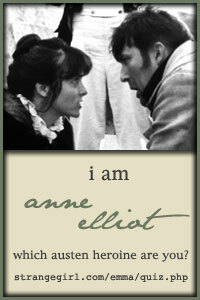 All is so lovely. 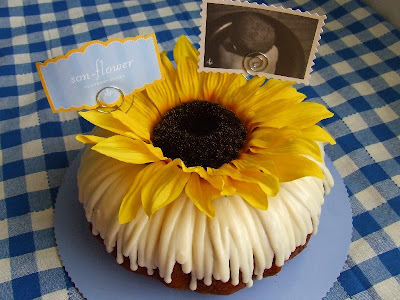 I am giving a brunch shower for my friend in a couple of weeks. I have given many showers, but not a brunch one. What time would be good for a brunch shower? I planned this one to start at 10AM thinking that we would be finishing up before the extreme heat of the day began. Little did I know that we would have a downpour come through before the guests arrived. Our weather has been really crazy this summer. 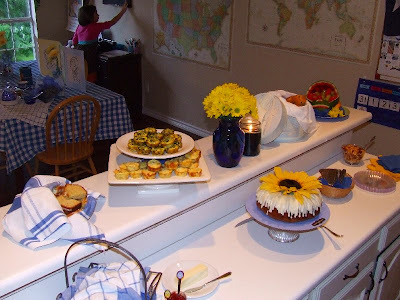 The time worked well for us because my girls, who were up very early with excitement had a little snack when they got up and then were ready for some real food around the start of the shower. So pretty. 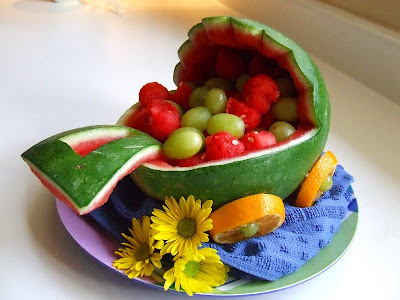 Love the watermelon buggy. I can't think of anyone who cooks so artistically and creatively as yourself Charlotte, always a pleasure to view your tea table! Could you use your scribd account for those baby line drawings so I can print them to embroider? The shower looked lovely. I'm afraid that I can't. 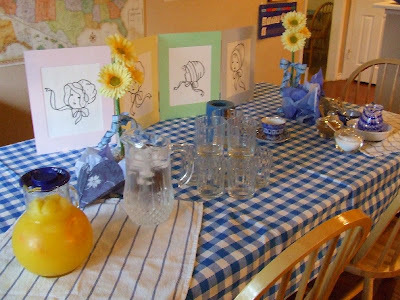 I was telling someone who emailed me that I made those drawings from some that I had seen online about 6 years ago when I was hosting another SIL's baby shower. Those are my original drawings on heavy drawing paper and glued between two large photo mats (then ribboned together to make a screen). I wasn't as computer savvy back then so I never scanned them. I could try to do it now, but I think the mats would get in the way. Maybe Katherine can tell us which ones her aunt used and we'll see if they were the ones that inspired my drawings.